SKU: CLAS-C. Categories: Celtic Collection, Brooches & Clasps, Cloak Clasps. This clasp were modeled after those made by traditional Celtic craftsman in the 7th to 8th century. It’s a must have for anyone who loves Celtic history! 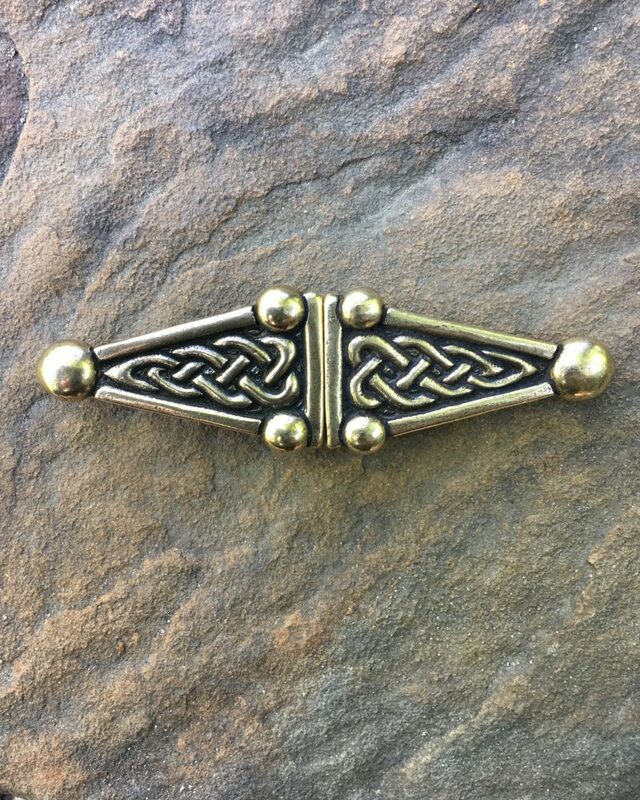 Our Celtic Buckle Cloak Clasp is available in bronze or silver and is 3.5” wide (90 mm). To start using this hook & loop clasp, all you have to do is sew one half to either side of your favorite cloak.